For the entire list of new cottages, you can see the new cottages from Cottages 4 You below. The cottages can be found in various counties around the UK and Ireland, with North Yorkshire, Northumberland, Perthshire, Isle Of Arran, Argyll, Inverness-Shire, West Yorkshire, Gwynedd, Dyfed, Herefordshire, Shropshire, West Sussex, Norfolk, East Sussex, Derbyshire, South Yorkshire, Cumbria, North Humberside, Devon, Tyne and Wear, Isle of Wight, Cornwall and Dorset all getting a mention. 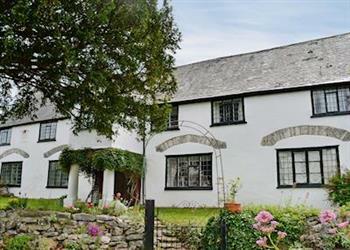 There are a couple of holiday cottage to bring to your attention this week, and those cottages are: "The Old House in Chudleigh, near Exeter, Devon". The Old House in Chudleigh, near Exeter, Devon - You'll find The Old House in Chudleigh - near Exeter, the beach, and Dartmoor. The Old House sleeps 14 people. For the very latest in holiday cottages from Cottages 4 You, have a look at our cottages which have recently been added page. Find out more about all inclusive holidasy, and what they offer. Beach Volleyball - in London? Norfolk Broads cruiser holidays on the Norfolk Broads from Hoseasons. Choose from boat yards all over the Norfolk Broads.